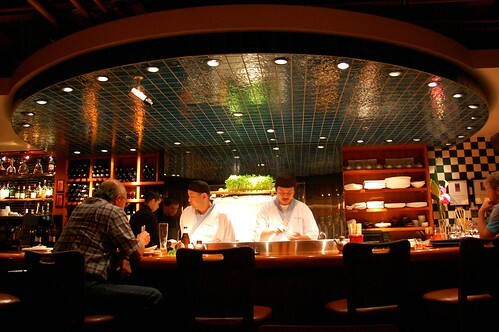 After a lackluster meal at Lumiere, Blue Water Cafe + Raw Bar restored our faith in the Vancouver food scene. 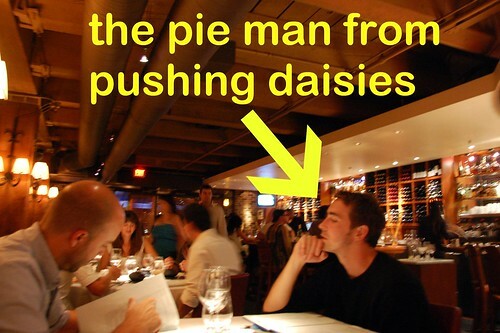 We happened to sit next to Lee Pace, perhaps best known for playing Ned in Pushing Daisies. Mr. Monkey and I were still a bit full from lunch, so we shared a few appetizers and rolls instead of gorging on a full-blown dinner with main entrees. 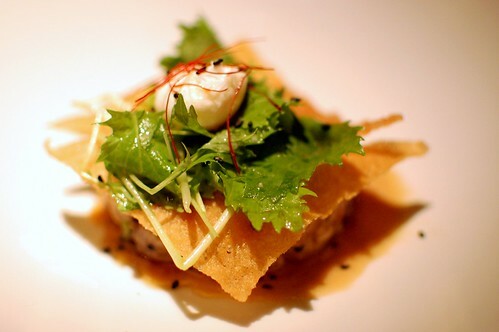 Albacore tuna tartar, baby mizuna, poached quail egg, ponzu sauce, sesame wonton crisps (CAN $16.00). The ingredients may sound like Wolfgang Puck during the 1990s, but the poached quail egg really made this starter quite something. Funny how just one ingredient can make all the difference. 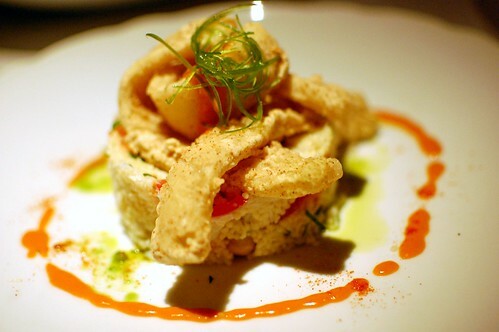 Dungeness crab and flying squid, couscous, chickpeas, green onions, parsley, harissa vinaigrette (CAN $17.50). So much stuff going on here! And yet it worked! 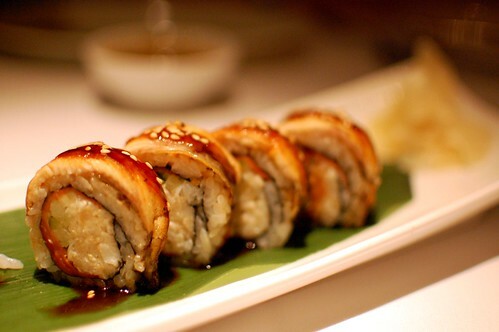 Stamina roll -- fresh crab, barbecued eel, smoked salmon, sweet soy glaze (CAN $17.50). Lest you think we got ripped off, this is not the whole roll! It was so good that I forgot to take a photo until we devoured about half of it. All of the seafood here was so fresh and so good. 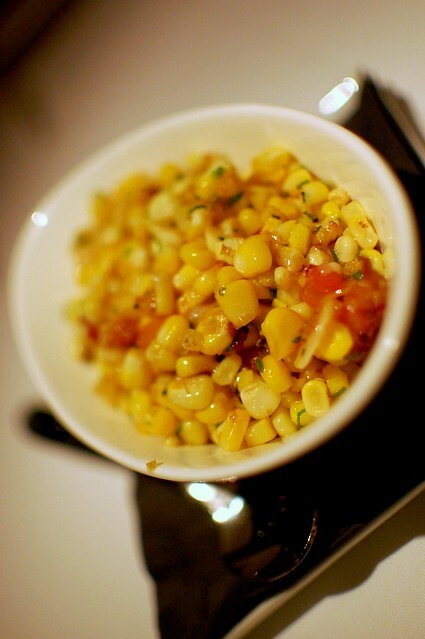 Sweet corn with garlic and bacon (CAN $7.00). Very simple but very tasty. 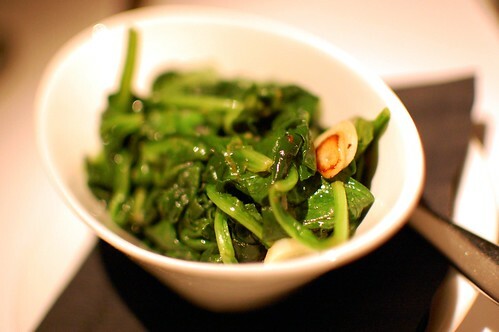 Spinach with lemon and pine nuts (CAN $7.00). 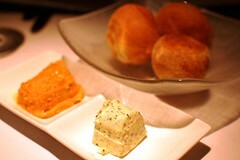 Also very simple and very tasty. 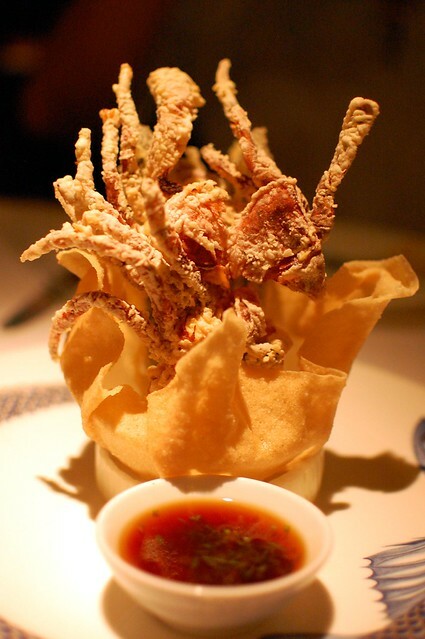 Soft-shell crab karaage with asparagus tempura, spicy ponzu (CAN $17.50). My favorite dish of the night. I mean, just look at it. Fried glory! 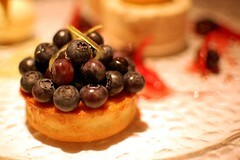 Blueberry almond tart, kalamansi cream, lemongrass gelato (CAN $11.00). I wasn't actually a very big fan of anything on this plate, but I did appreciate the artistry. 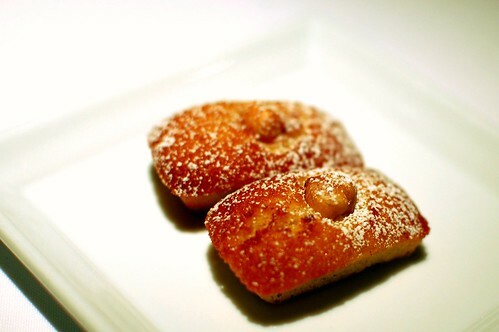 I liked these more than our real dessert. Warm. Just a little sweet. Perfect ending. 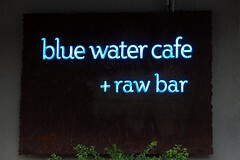 If you visit Vancouver, I highly recommend Blue Water Cafe + Raw Bar. 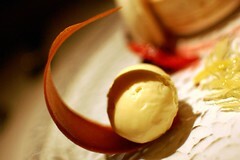 The presentation here looks pretty stunning, especially that dessert course. I'm glad the food didn't disappoint! 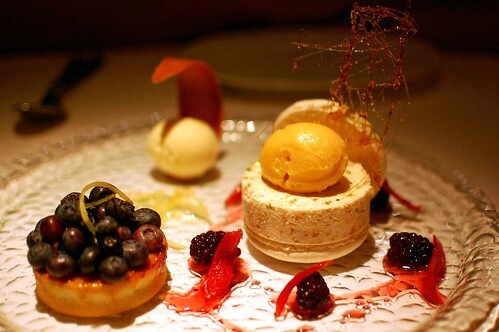 The food looks great, especially that dessert plate (too bad it didn't taste as good as it looked). Hopefully I'll make it to Vanc one day. 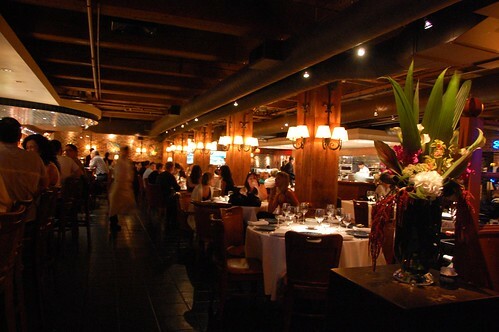 i am sad that we likely will not visit this place if we make it to vancouver. 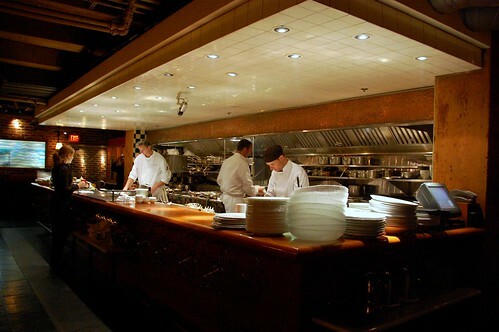 Blue Water Cafe was awesome. We had the most giant lobster that had just been flown in an hour earlier. And Nick was even convinced to eat sushi! This was an almost ran for us. Maybe we'll get a chance to hit it up next month. giggling at the stamina roll. i love karaage anything. karaage CRAB?